We offer both Waney Edge and Featheredge (closeboard) fence panels in a variety of sizes and weights, to provide high-quality home and garden fencing. 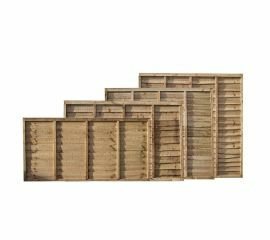 Waney Edge fence panels are probably the most common and economic domestic fencing available, however, we find that our Featheredge fence panels are a popular choice with our customers due to their robust nature. They are formed of numerous vertical slats which are secured with three horizontal panels on the back of each fence panel, adding that extra layer of durability against the harsh winds we often experience. 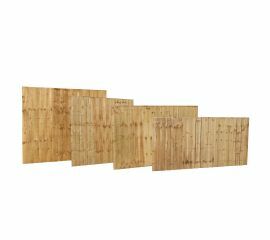 We also offer heavy duty Waney Edge fence panels, perfect for a reinforced fence line. The perfect panel fencing for your home, garden or play area is available now; shop below for all panel fencing options.